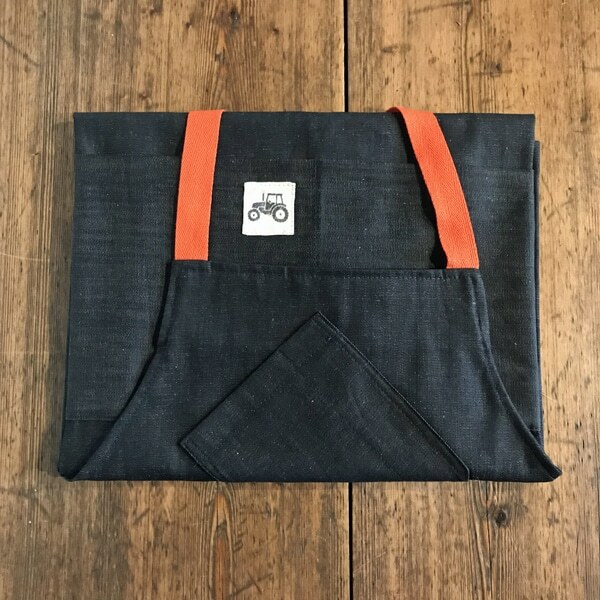 Our denim apron is sized to fit all. At 5′ 10″ Farmer Bethan in our photo is well covered whilst it’s easy for the shorter farmer to hitch up. 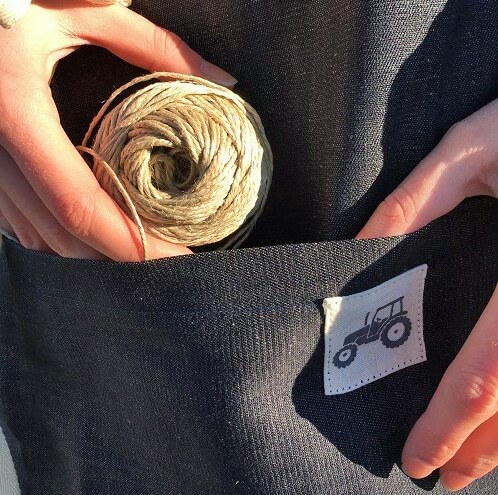 Capacious pockets make room for farming essentials such as baler twine and mobile phones. Chefs are well protected in the kitchen. 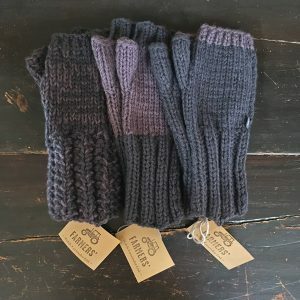 Gardeners and woodworkers load their pockets with tools. 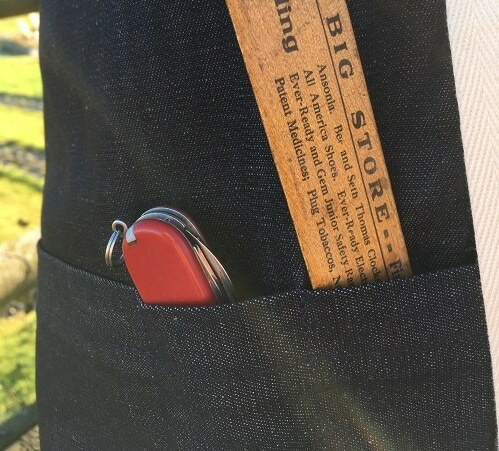 One slim stitched pocket is designed to make sure the ultimate farming essential, the penknife, is always handy. 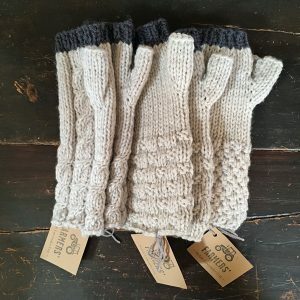 The vest pocket has space for chocolate bars and pencils. 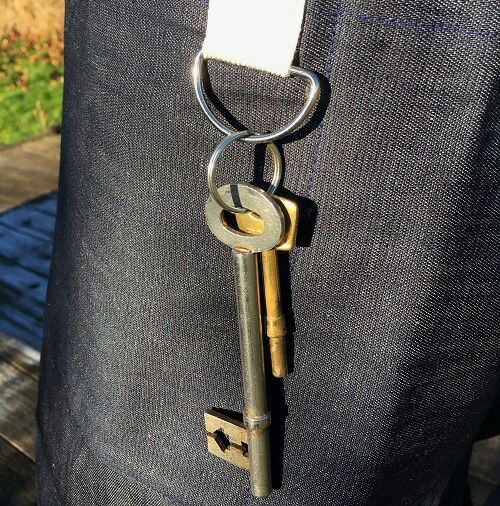 A ring stitched on the side holds keys. 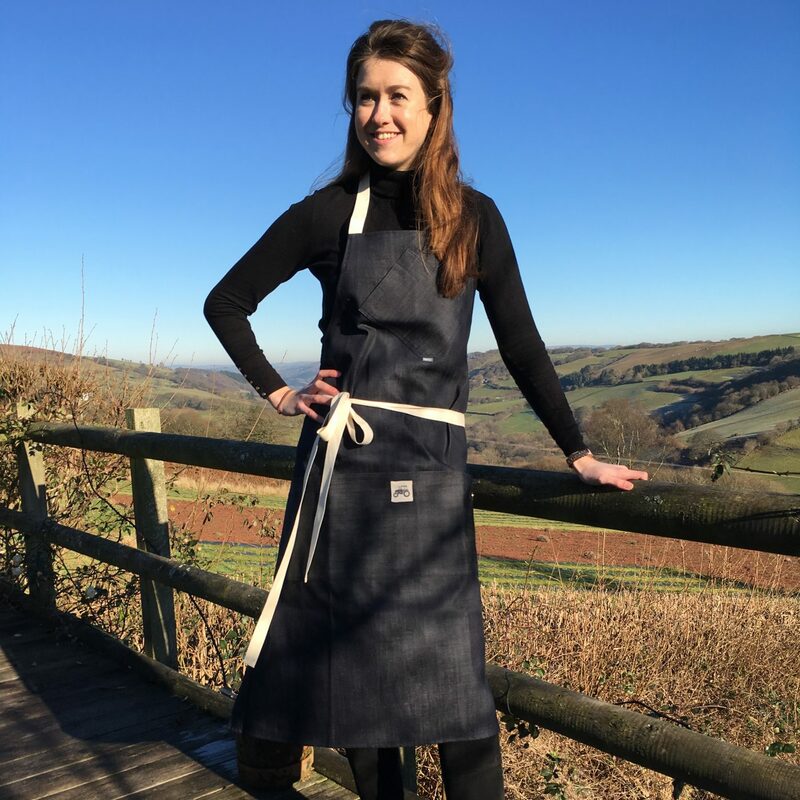 The FARMERS’ Apron is custom made by Elaine Arrowsmith in the Brecon Beacons. 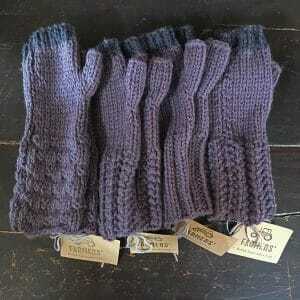 Available in off white and orange coloured tabs.